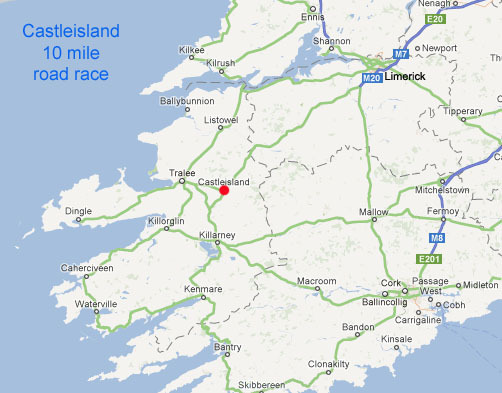 Race HQ is at the clubhouse which has the only 400m outdoor running track in Kerry. Essentially, the course does a loop around the town and then at about 1.5 miles, it heads north and slightly uphill. The peak is near where the road joins the N21 and then, you down south and slightly downhill along the hard shoulder. Then it's back in to do a loop around to the south of the town before finishing back near the athletics track. Some uphill running between mile 2 as you leave the town and mile 3.5 where you join the by-pass. Otherwise, downhill or flat. 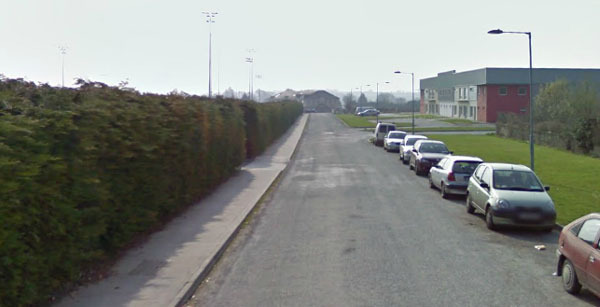 Location of An Riocht AC track in Castleisland. 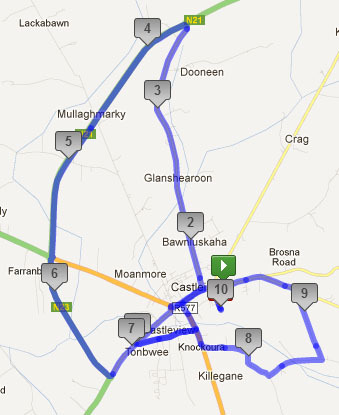 This race does a short loop around the town before heading North. Overall....A reasonably fast course. There are two real hills as such. The first one after mile two is more of a gentle incline. The second one at about 9.5 miles is steeper but short. There is a significant amount of flat or slightly downhill running which should make for fast times. If you are going for a fast 10 mile time then this is one to do it on.